On Nov. 19, 2018, the Denver Art Museum debuted a new exhibit featuring over 200 gowns from the couture Fashion House of Dior. “Dior: From Paris to the World” is a one of kind exhibit that not only features gowns from Dior’s seventy-year history, but the exhibit also displays shoes, bags, jewelry, perfume, fashion sketches, photographs and video footage from the Parisian fashion house. Many of the items on display at the exhibit are being shown to the general public for the very first time. Before entering the exhibit, museum employees hand you a booklet with information on each of the gowns. Mirrored walls glittering with white embroidery greet you before walking through the large double doors. Once you pass through the doors, you cannot help but feel like Alice in Wonderland. While exploring the exhibit, you become hypnotized by vintage video footage of fashion shows projected onto the walls. Melancholy French music plays softly in the background, making you feel as though you have stepped into another time and place. It is easy to forget that you are in 21st century Denver, Colorado. Dozens of couture gowns line the silver walls as you walk down a winding hallway. The first dress you see when you enter the exhibit is Christian Dior’s first iconic creation from 1947, which was a white suit jacket securely cinched at the waist, a black pleated skirt and a wide-brimmed hat. The exhibit features hundreds of Dior looks from as early as the 1940s all the way through the 2010s. Some of the dresses are recognizable. For example, a gown worn by Jennifer Lawrence to the 2013 Oscars is a popular attraction at the exhibit. A silver mini dress worn by Audrey Hepburn and a green and cream colored dress worn by Elizabeth Taylor are also featured in the exhibit. The exhibit is separated into different sections, each one having its own theme. For example, some sections are color-themed while others are more detailed. There is one area within the exhibit known as the Garden Room, which features floral-inspired gowns set against a muted pink background. According to Vogue.co.uk, the legendary fashion designer Christian Dior was born in Granville, France in 1905. He became famous in 1947 for what became known as the “new look”, a revolution in women’s fashion after World War II that featured an extensive use of fabrics and a severely hourglass silhouette. It was a shocking contrast to the simplistic looks that became fashionable during the war years. After Dior, women’s fashion was never the same. Although Christian Dior experienced an early death in 1957, his legacy lives on. After his passing, Yves Saint Laurent took over the iconic fashion house as artistic director when he was only 21 years old. Other artistic directors through Dior’s extensive history include John Galliano and Raf Simons. 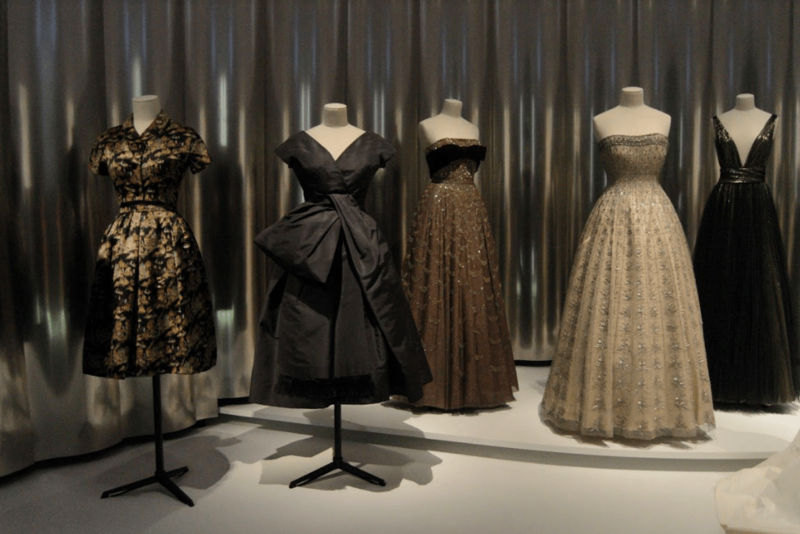 The exhibit displays the visions of several designers who have taken Dior in different directions throughout the years. It is almost too much to take in during one visit; one would have to view the exhibit multiple times to fully appreciate the beauty and artistry of the 200 plus gowns. 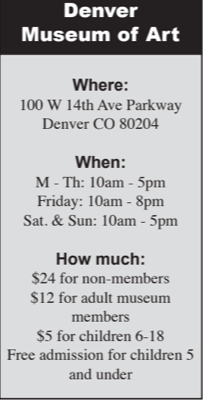 “Dior: From Paris to the World” will be on display at the Denver Art Museum until March 3, 2019.